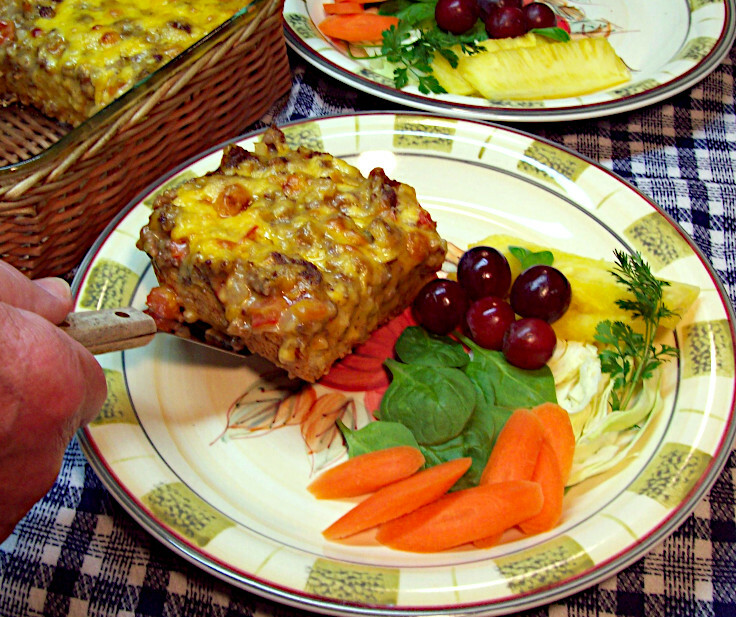 A crispy biscuit crust cradles a cheesy hamburger casserole. Serve with a salad and enjoy a cheeseburger without the bun. Chop onion and tomato and add to skillet. Turn heat back up to medium and cook until tomato pieces are soft. Stir in cheese soup and first amount of milk. Reduce heat to low. Preheat oven to 400 degrees. Spray a baking dish with non-stick cooking spray. Mix biscuit baking mix with second amount of milk. Spread batter into baking dish. Top with meat mixture and sprinkle with grated cheese. Bake for 30 minutes and serve with salad.